After three full weeks in Jamaica, I am back in Key West. More and more, Key West is becoming less like home and more like the place where I come to work. The reason this is is because Brampton have become my family. My school is in Brampton. My church is in Brampton. My kids are in Brampton. My yard is in Brampton. When I was “growing up” in Key West—this is the late-late growing up period between 35-45—Key West was like the best playground. The reef, “the lakes” (ie the Marine Sanctuary), Wisteria Island, the salt ponds, Stock Island, you couldn’t ask for a more fun place to learn the important lessons about being an adult. Then like the saying goes, “When I was a child, I spoke as a child, I understood as a child, I thought as a child: but when I became a man, I put away childish things.” (1 Corinthians 13:11) Now all those things are still there but for another group of young people and children. And now, I am a man. As a man, responsibilities count for a lot with me. What I want out of life is refined and refocused, and what I take pleasure in is helping younger people grow as well and better than I. In Key West, I make money here I could never make in Jamaica. People have demands here which may never exist in Jamaica, specialized computer repair and data recovery and high-end web design, and for that reason I have a place here and I serve a necessary purpose for which I get well-rewarded. Then, I take that money I make from building and repairing the infrastructure of Key West and I invest in my community in Jamaica. Because of this, I can see Key West more clearly—as an adult. My feet are firmly rooted in both places, one foot in Key West and the other in Brampton. This is how I am now, the man I could never imagine when I was a youth but always dreamed of becoming. Next week, I head back to Jamaica. Again. I made a promise to return this Easter. See, I was just there 3 months ago. And for three weeks. But before that, I waited 18 months (!) between trips. (Can you believe it’s been 3 years since we started this project?) Seeing as there were no other computer repair people to fix things when they fail–think about how often you have computer challenges–it was like a small thing that suddenly became a BIG problem. So when I got there for what was supposed to be a two-week stay I learned that if I left when I had planned I may not have even come. It took every minute of the last week to get everything back up and running. For instance, the entire computer room at Brampton Elementary had been reduced to one single working PC–for a school of 90 students. Wow. I worked and worked like there was no tomorrow. When I tell people it is 12-hours days of non-stop computer repair I am certain they think I am exaggerating. If only. I get up in one room and head to the computer repair room I have set up in the house of Man Jack and Mama Lynn (where I stay). Someone calls me for breakfast. And lunch. And dinner. In-between, we repair computers. “We” being the students who stay with me while I am work, staying and learning. Can you imagine your son or daughter staying with a teacher for 4, 6, 8 hours or more? But they stay right there, learning and helping. And behaving all the while. (No horsing around computers!) Sometimes I go outside to stretch. Because after 46 years my staying in one position for hours and days at a time makes me like a tall lanky achy cranky human pretzel. But it’s worth it. That’s what it comes down to. You have to be there to see it. I know it being here, and hearing that the school’s 4th graders got top scores in the entire Trelawny Parish—the fifth-largest in Jamaica—on standardized testing and that the school came in first-place for the 3-primary school district of Rio Bueno makes me glad to be alive, but being there, actually being there, and contributing to the success is what gives it meaning for me. I figure I have been slack in reporting what it is like to be there. Brampton Primary has 90+ students and they just test me one after another: “What’s my name?” And you better remember. So I should tell their stories better. One in particular whose story I tell is Ravaughn Jones. He’s 13 now and in high school. His nick name is Shorty. It has to do with his height. But in my eyes, he’s one of the biggest young men in the world. When someone needs help, he’s there. If there’s work to be done, he steps up first. He does good because he understands that doing good makes good things happen. Being around Ravaughn is inspiring because he is a young man, and will soon be doing a lot more pursuing of young men things, but he is working hard to do good. And seeing that makes us all work harder. Another student who stands out is the young lady named Lasana. She is bigger then the other young women. She is around 12-13. And she is shy! And smart! And she really cares. And she really works hard to do well. It’s hard to tell how smart or how shy she is because they go back and forth. Her responsibilities to her family and taking care of the younger kids seem to be the priority. Being there and making a point of acknowledging Lasana as a person who has unlimited potential so that boys don’t get opportunities that she may be better suited is a privilege. I think of it as a privilege. Gender roles figure in and it is important to always keep this in mind but not to forget that possibilities are endless. For both boys and girls. So I am returning because I made a promise. We are near the end of the start of a process which is reaping amazing results. I return because it is important to be as careful at the end as at the beginning, “for what is nearly finished is nearly spoiled.” It’s ancient wisdom and I would be surprised not at all if it were also Jamaican. 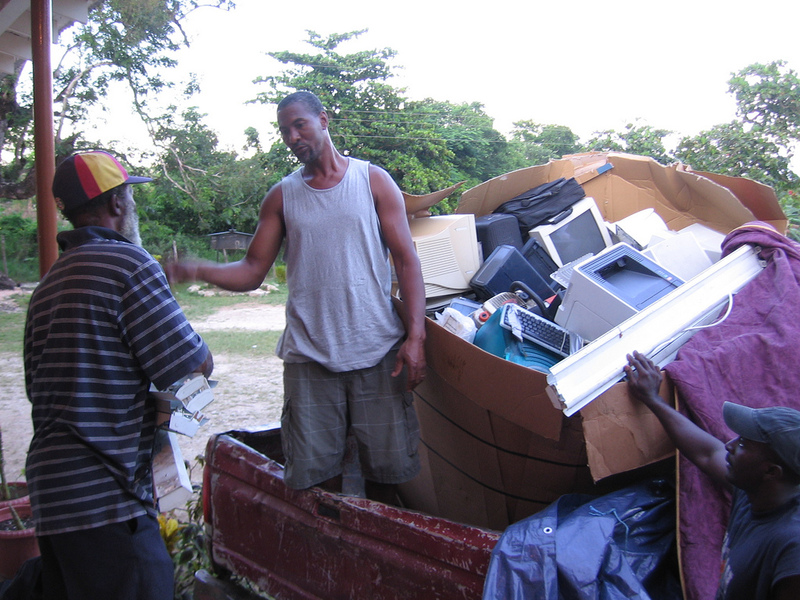 How to re-purpose your old computer to new use in Jamaica. In two weeks, we will be shipping out computers to Jamaica. When I say computers, I mean computer workstations. And when I say Jamaica, I mean Brampton Primary School in Trelawny, Jamaica. And when I say we I mean all of us who have contributed a computer or a piece of a computer to this project. In the past two years, we have shipped sixty workstations. With this shipment I hope to bring another twenty. This will help us achieve our goal. Our goal is to have twenty workstations at the school—in the computer room that the community built to securely house and protect the machines—and one workstation at every student household in Trelawny. That’s sixty workstations. As it is the results we are seeing are remarkable. How remarkable? Three years ago, Brampton Primary was scheduled to close for “lack of interest”. Our program under the tutelage of principal Mrs Camiel West and her staff was implemented two years ago. 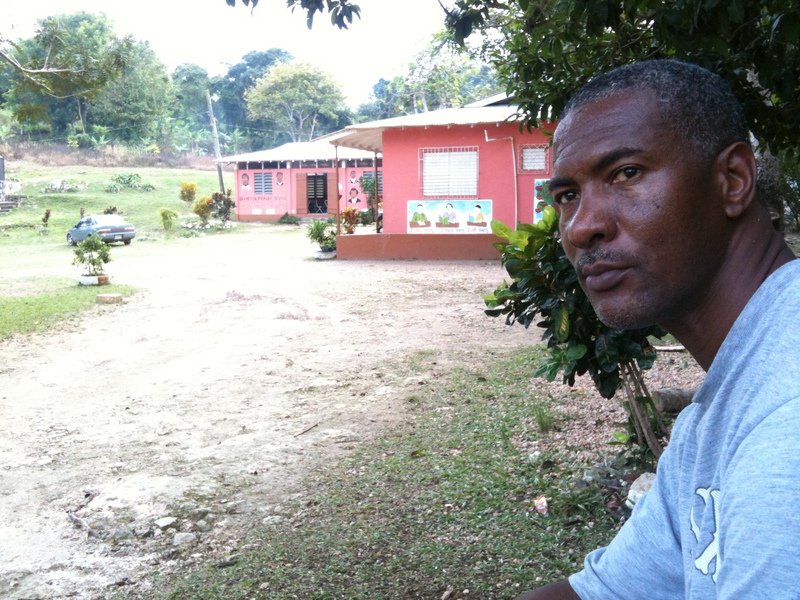 This year the schools 4th grader tested higher on standardized testing than every other school in Trelawny Parish, the fifth-largest parish in Jamaica. The school itself came in highest in scoring in the district. It is like a renaissance. Worth noting, electricity runs about 80% of the time in Trelawny. Water about 50%. There are many places with packed dirt floors. The school had no watertight rooms before the building of the computer room. Also worth noting, before we began importing computers to Brampton there was one computer in the township: It did not work. That part has changed now. Here’s where we stand. Of the over one hundred workstations we shipped, about half arrived in working order. As these are all generally older machines, shipping across a sea in the cargo hold of cargo ships only sets so well with them. Just as bad is that when they arrive—as most are over five years old (some over ten)—some just give up the ghost soon after arrival. The good news is that there are lots of spare parts! At this point the school has twenty workstations, the five teachers of the ninety students have workstations, and some thirty students have workstations. And Mrs West has an internet connection, the only one in the area other than cell phones. When I go back this December for two weeks, my time will be spent doing non-stop repairs and installations. But every minute counts when I am there. For the most part, I use my own resources to transport, repair, ship and work on the computers. 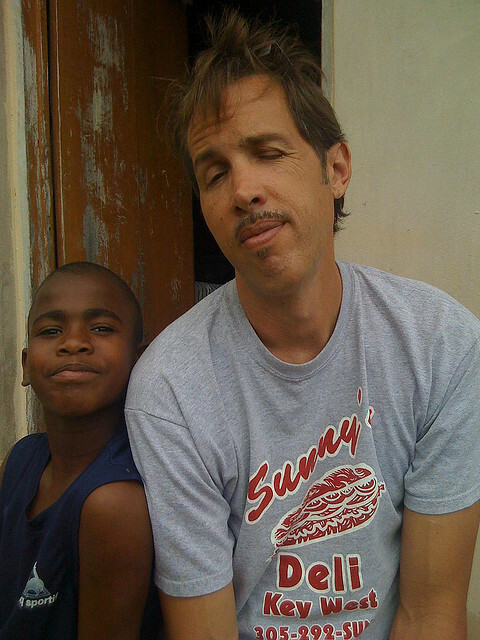 Then in Jamaica, there is other man, Clinton Hedman, who has worked on the computers with me but otherwise it is kids who I teach how to do what I do. In truth, with by our Key West contributions of computers and mine of time (as well as my many friends who paid for shipping the monitors last time by each one sponsoring one at $25 a piece (the big monitors)) we are buying these children a future. And they in exchange are working to have one. The students of Brampton Primary are not “given” computers; they are awarded them. In a ceremony for the entire township with dignitaries and school officials. Everyone is dressed as if for a wedding or for church. It is an accomplishment to be awarded a computer. It comes with a handshake and a certificate. Receiving of a computer workstation means much is expected of you as a community member and as a student. In a word, it is an honor. Likewise, it is a tremendous honor to be facilitating this transaction. 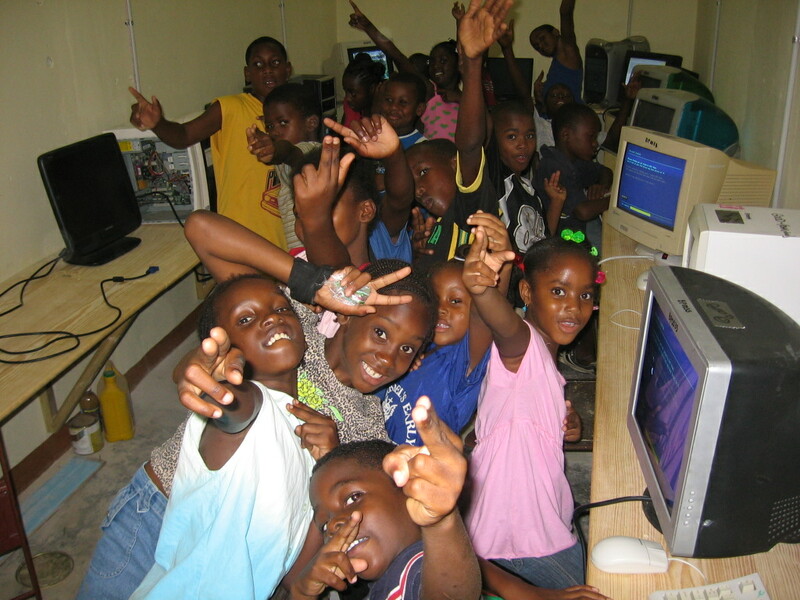 In two weeks, I am sending another load of computer workstations to Trelawny, Jamaica. Two weeks later, I will follow them. And I will stay for two weeks to work so that these students have an opportunity and a place here in the future. We need some things. And there are other things we do not need. RAM. This is computer memory. It is like a chip or wafer that makes computers run faster. And that’s what we need. NO printers. No ink or money to buy ink in Jamaica, either. NO “big” (cathode) monitors. No also. Too expensive to ship. NO really old computers. Not if they cannot run XP or OS X 4 or higher. This year, Fausto’s has given at least eight retired computers which we have upgraded and brought up to date. And First State Bank has donated almost 20 retired flat screen monitors along with a number of computers without RAM or hard drives. So this is where we stand. Since it’s Christmas/Hanukkah/Kwanzaa holiday season, now is the time many people get new computers. If you or your business has computers you are getting rid of, I know of a worthy cause towards which they can be put to good use. If you are cleaning out you closet and want to do some conscientious recycling, we are here. If you just have an extra computer that could be put to good use, we can do that for you. Three months ago, the West-Thompson family came to stay at my home for a month with their 14-year old Shamar, 5-year old Camielia, and 3-year old Kyrell. The reason they came to Key West was to see the place where the computers came from. (Mr. Lincoln Thompson is a part-time Key West resident.) It was a blessing. We got to put a name and a face with our program to many of the contributors and many of the contributors got to see for themselves to whom the computers were being delivered. What a treasure! Now we are getting set to make the leap again. If you can help, reach out. My number is 305-304-1555 and my email is mike@mikemongo.com. In a place that just two years ago had no computers, Key West is making an amazing difference. Keep up the good work. And thank you. Computers to Jamaica: Phase 1 completes! This Sunday, with the shipment of a final 30 computer workstations, the hardware end of our Computers to Jamaica draws to a close. With this shipment, Phase 1 will be in completion. Brampton will have one of the highest density of computers-to-students in all of Jamaica. On Sunday, with some luck, the computer workstations will be driven to Miami and put in shipping containers. 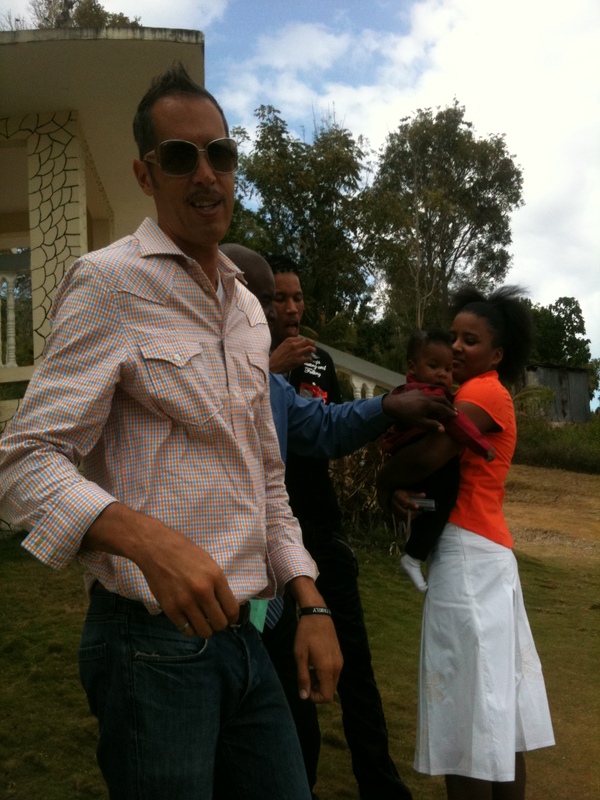 My host Jamaican Lincoln Thompson and I will follow them December 10th, meeting them at the Montego Bay Port Authority. There arrival will coincide with the school Brampton Primary’s end of the year dance, the little school’s biggest fundraising event of the year. There the computer’s will be distributed. At that point, every Brampton student household will have a computer, sixty-two in all. Not bad for a community which had its very first computer ever delivered one year ago October 2008. It boggles my mind that we have come this far. We are still in need of computer desktops and laptops. We can use keyboards, mice and speakers. Software is always welcome. And of course flat-screen monitors are a treasure. (Our biggest expense is shipping monitors, which cost me $25 a piece to get to Jamaica.) We gratefully have plenty of big screen monitors. I’d say presently we have half the computers we need. I am sure we will get there. We always do. If you have a computer to give, be sure and email me at immikemongo@gmail.com or call 305-304-1555 to get me direct.